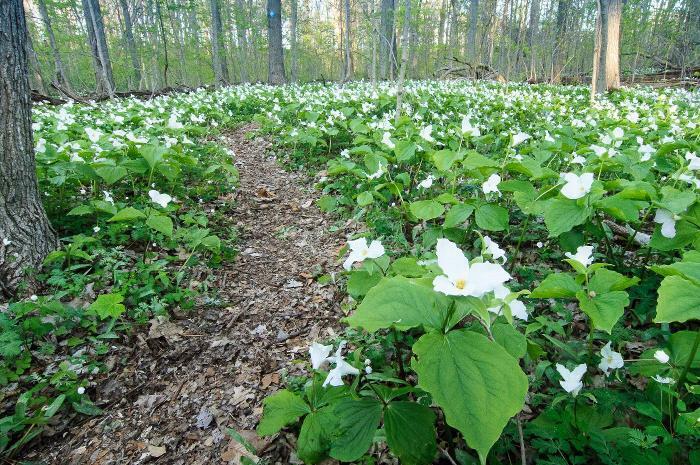 Trillium Ravine Prairie Plant Preserve boasts extraordinary beauty throughout the year. 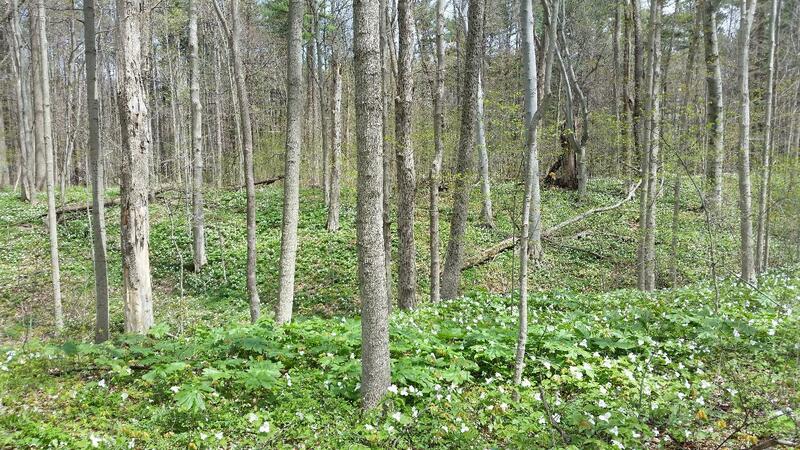 This mature, mixed deciduous forest set along a deep glacial ravine is complete with beautiful spring ephemeral flowers. 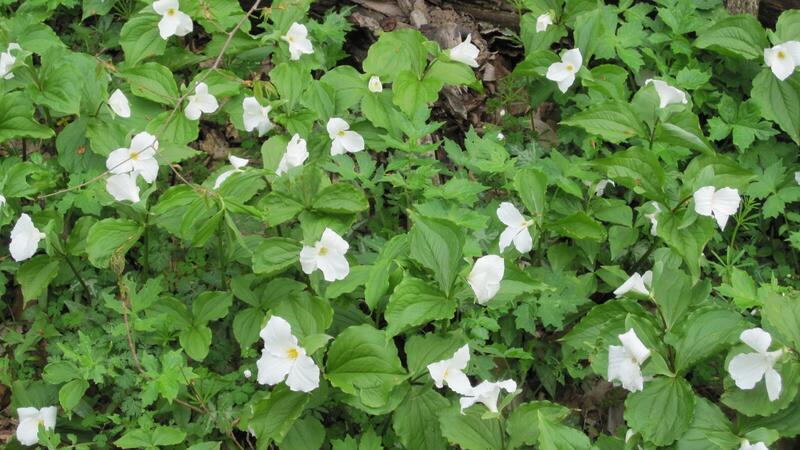 The Michigan Nature Association acquired Trillium Ravine February 15, 1983 from a donation by the Malcolm S. Ross and Robert C. Upton partnership. The men originally intended to include the property in a subdivision they were building, but Erich Bruegmann noticed the beautiful ravine while driving one day and brought it to MNA’s attention. A ravine is characterized as a deep narrow valley, usually formed by running water. The sloping sides of the ravine carry spring run-off and heavy rains to the St. Joseph River. The sloping sides of the ravine are covered in a variety of hardwoods and beautiful spring flowers. Beech and sugar maple are among the predominate hardwoods found here. Jack-in-the-pulpit, wild ginger and yellow trout lily are some of the wildflowers around the ravine. The sanctuary is a quiet, beautiful place any time of year. The wildflowers, including the rare trillium, bloom in the spring. Trillium Ravine is located four miles northwest of Niles on the west side of Riverside Road, off Walton Road in Niles Township.